Jackie Bradley Jr. drove in three runs and Doug Fister threw seven strong innings as the Red Sox beat the Blue Jays 6-1 at soggy Fenway Park on Wednesday night. Bradley's fifteenth home run of the year came in the bottom of the fourth inning with two aboard. It capped a four-run inning that allowed the Red Sox to pull away. Toronto took a brief 1-0 lead in the top of the first inning on a bases-loaded walk issued by Fister (pictured) who promptly settled down after that. He scattered four hits and struck out nine as his record improved to 5-7. 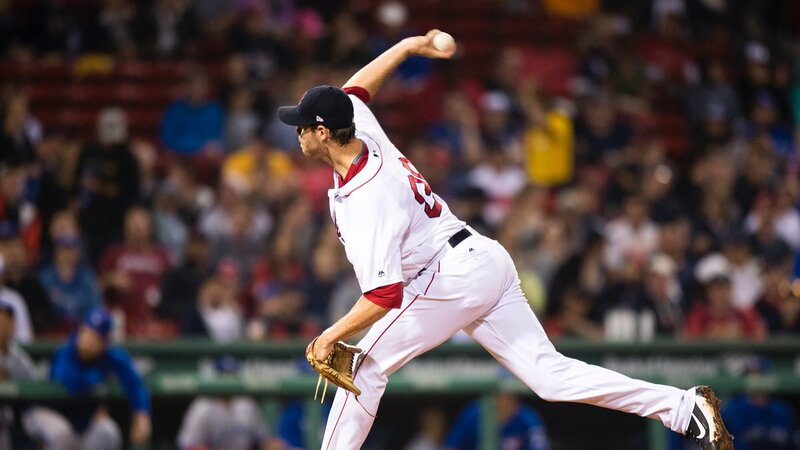 Fister has made seven starts for the Red Sox in place of the injured David Price. Over that span he is 5-2 with a 2.79 earned run average. Eduardo Nunez and Rafael Devers each had two hits in the victory. The Yankees were rained out in Baltimore on Wednesday. Boston now leads New York by four games in the American League East (three games in the loss column).